Cross Country Air Safaris (CCAS) designs truly personalized itineraries for safari destinations in Southern Africa. Let us chart a course for you through the wildlife areas and game reserves of Botswana, Namibia, South Africa, Zambia and Zimbabwe. Discover fascinating, remote places. Let us introduce you to African wildlife at its best – visit small bush lodges offering scenic excursions, superb game viewing and stunning landscapes. Our local guides excell at approaching animals for safe, sensitive, close-up photography of lion, elephant, leopard, cheetah, zebra and other plains game, large or small. It is our aim to provide you with a private safari that exceeds your expectations and caters for your personal interests. Give us your input, and we will do whatever it takes to give you a feel for your prospective itinerary – by means of personal description, photo material, and/or contact with personas in your country who have recently travelled with us. We reply to you promply, comprehensively – and decidedly individually. Your time in Africa is precious; it should be filled with enjoyment. Allow us to suggest the most effective ways to achieve an unhurried yet comprehensive tour during the period available to you. Below are a few examples of customised safaris that we have created. Depart from Johannesburg or Cape Town. Arrive in time for lunch at your first bush lodge, deep in the heart of the unique waterscape of Botswana’s Okavango Delta. 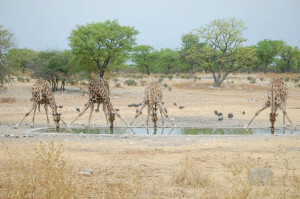 Excursions vary with the seasons and prevailing water levels; they include game drives in open vehicles, leisurely motorboat cruises, tranquil bird-viewing outings in dugout canoes, and walks. Feel free to choose the guided activity best suited to your mood. On the first day, a panoramic excursion to get to know your surroundings makes for an excellent introduction. This being your first full day, you have two excursions to look forward to – one very early in the morning, another towards late afternoon. The remainder of your time can be spent resting, bird watching, browsing the lodge’s wildlife library and generally enjoying the stunningly beautiful landscape. After the morning’s outing, depart for your flight to a nearby lodge, chosen specifically for optimal game viewing. 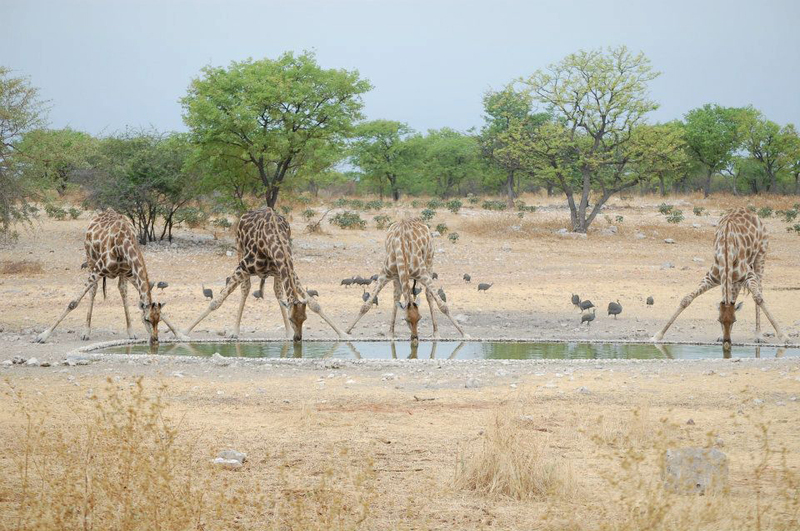 Here, rangers strive to show you all the plains game you can reasonably expect to find in the African bush, including giraffe, buffalo, zebra, impala and many other species. The great cats are always elusive, but this lodge has gained a near phenomenal reputation for the best possible chance of seeing lion, leopard and cheetah. Depending on the season, you may continue your game spotting from the comfort of your private lodging, raised to ensure an excellent view of the surrounding plains. Enjoy the activities and pattern of the day as outlined above. After the morning’s game activity, depart for your onward flight. Depart from Johannesburg or Cape Town. Arrive in time for lunch at a private bush lodge bordering on the famous Kruger National Park. Enjoy the late afternoon game drive on open 4×4, with sundowner drinks out in the open. This being your first full day, you have two excursions to look forward to – one very early in the morning, another towards late afternoon. Your chances of at least one of the “Big Five” are excellent. The remainder of your time can be spent resting, bird watching, browsing the lodge’s wildlife library and generally enjoying the tranquility of a lazy African afternoon. Spend this day much as before, this time seeking the species not yet spotted. After the morning’s game drive, depart for your flight to Johannesburg or Cape Town. Your Safari starts in Nairobi or at the coast. In a safari minibus or Land Cruiser you will have an easy trip to Amboseli and arrive in time for lunch at Amboseli Serena Lodge. 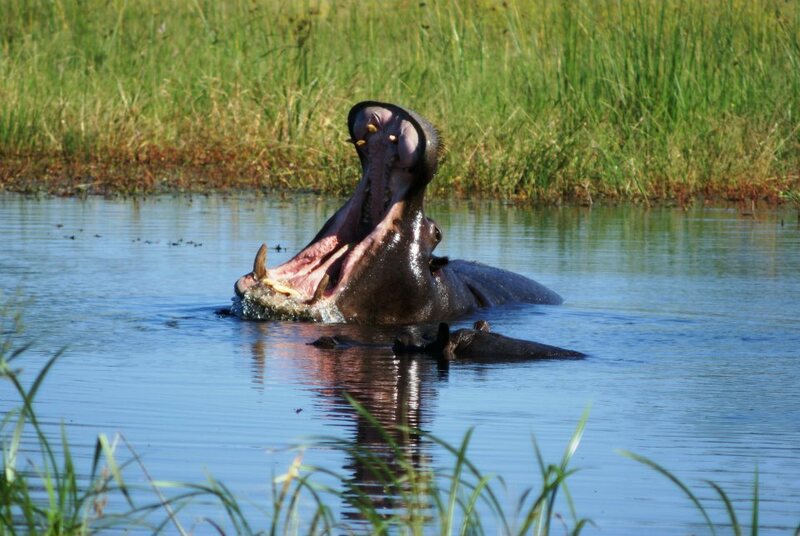 Start your first game drive in the afternoon looking out for the majestic grey giants and other animals. Mt. 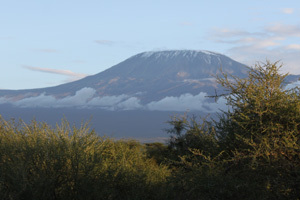 Kilimanjaro offers scenic background for photography. You will be back at the camp in time for a shower, sundowner and dinner. Leave for an early morning game drive – the best time to catch elephants together with the Kilimanjaro. With a bit of luck you will be able to take one of this famous pictures. Come back to the lodge for breakfast – spend the rest of the morning relaxing or visit a Masai Village and learn about the traditional life style of the famous warriors. After lunch you will start for another game drive in Amboseli National Park. Proceed to Tsavo East Nationalpark after breakfast. Enjoy an en-route game drive and arrive at Satao Camp for lunch which is served under a 200-year old tamarind tree. Start your afternoon game drive til sunset. Visit the Tsavo River and Yatta Plateau look out for the typical red elephants, rhinos, leopards, cheetah, and giraffes among others. Go on an early morning game drive, take packed breakfast and drive back to Nairobi or onwards in time for your further plans.